CIA Director John Brennan said Tuesday’s Istanbul airport terror attack “bears the hallmark” of ISIS. Brennan was speaking about global threats in a discussion with the Council on Foreign Relations on June 29. The director said there is no credible claim of responsibility at this time over the Istanbul attack. “In most instances, ISIS has not claimed responsibility for attacks perpetrated inside of Turkey. What they do is they carry out these attacks to gain the benefits from it in terms of sending a signal to our Turkish partners,” said Brennan via C-Span. But Brennan said these types of attacks are something people should not accept as ordinary. “I don’t think we should ever get used to it,” said Brennan. He said the United States and its coalition partners have made “significant progress” in Syria and Iraq, where most of ISIS members reside, but he also said it would be surprising if ISIS is not trying to hit the U.S. homeland. Brennan said the challenge with ISIS is different from Al-Qaeda. “Al-Qaeda had a core of several hundred individuals. 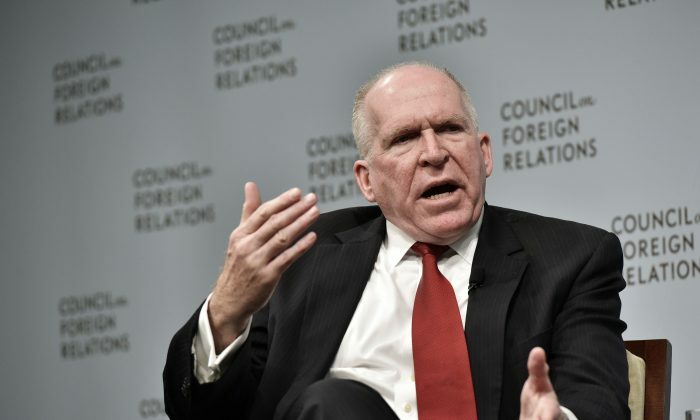 ISIS has tens of thousands of individuals scattered to West Africa, Southeast Asia, and beyond,” said Brennan. Global instability is an issue that affects all countries, Brennan said, adding that the next administration should focus on it. The United Nations says the number of people displaced by global instability and conflict has reached 65 million, the highest number ever recorded. Many of the displaced are from Syria, where the civil war has led millions to flee the country. Brennan says Assad is making the situation worse and is “part of the problem,” citing the “atrocities” he has committed towards his own people, adding that Russia plays a critical role in the Syrian conflict. He says cybersecurity, terrorism, nuclear proliferation are also global issues. Brennan also says the “dizzying” advances in technology are also a threat. North Korea is at the top of Brennan’s countries of concern, he says, citing Kim Jong Un as an “authoritarian and brutal leader” who continues to pursue nuclear weapons that threaten the United States. Brennan also has an eye on China because of its growth in military, economics, and politics.